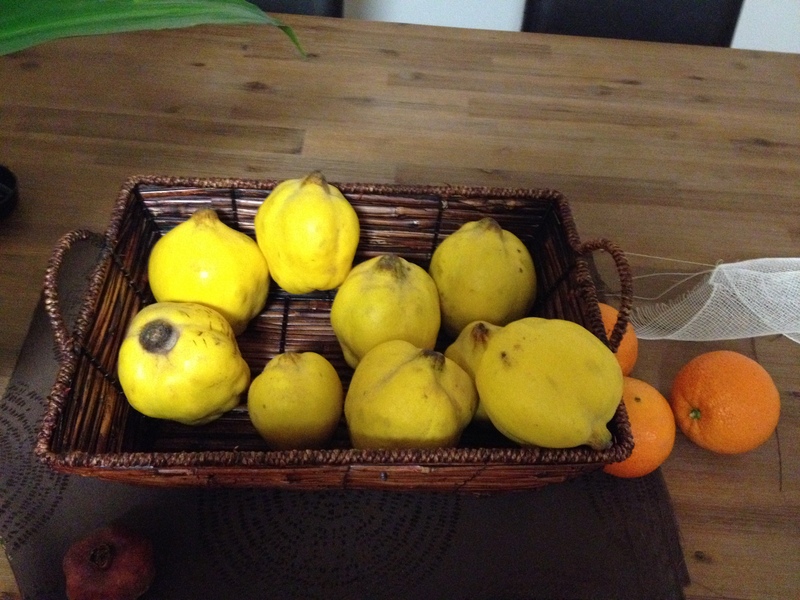 It’s getting to that point in the southern hemisphere, quince season has come and is just about gone. There a few stores still selling a handful of fruit but it’s nothing like the grand, bountiful display from a few months ago. It’s at this time that my hoarding instincts go into overdrive. I start to stockpile. And keep stockpiling. What if the quinces in the store are the absolute, final last quinces for the season?! It’s not a risk I’m willing to take, so I MUST HAVE ALL THE QUINCES!!! My better half has literally banned me from buying any more. It’s not because he doesn’t like quinces, in fact he loves them almost as much as I do. Apparently, it’s because he loves them that he doesn’t want me to keep buying them, as he feels that my precious stash is slowly rotting away and the more I buy the more they will rot. So he’s really trying to save the quinces. Ok, so maybe some of the quinces in that basket have been in there for quite a while now, but I know which ones were bought when and I always use the oldest ones first! And if I choose to let my quinces linger around for several months, they aren’t just sitting there doing nothing, they’re filling the kitchen with their wonderful fragrant aroma. On the knitting front, there have been many finished objects. In particular, the (bloody) gabriela cardigan is finally finished! Not a bad effort after the ordeals of reknitting the back half a dozen times, each with a sense of dread for it being too small, and the never ending first sleeve that did eventually end as evidenced below. 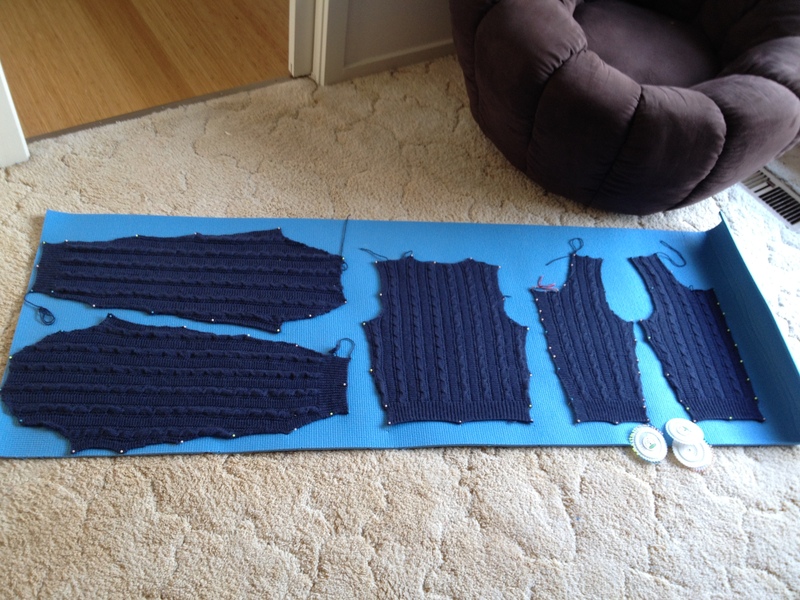 As to an in wear/use photo, that’ll have to wait for the next post, which will be an epic sweater/cardigan post. How’s that for suspense, huh? 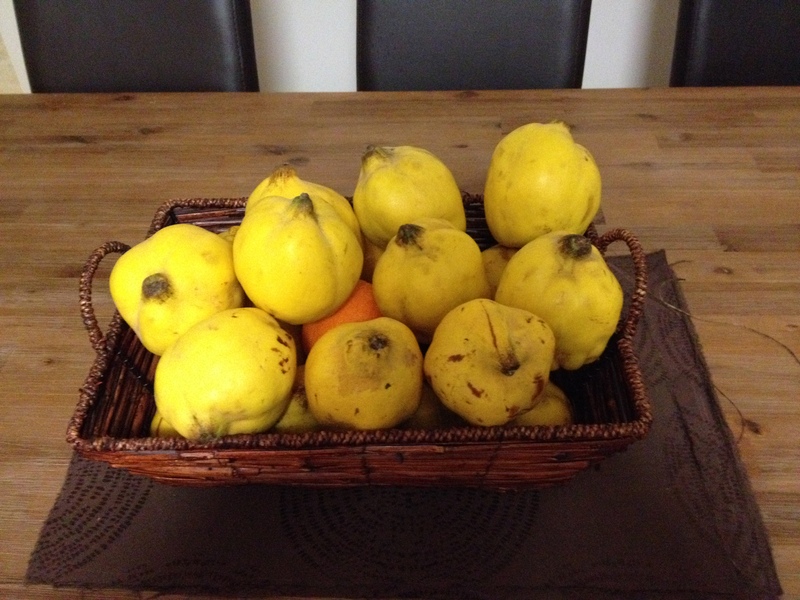 In the mean time I’m going to fondle my precious quinces and scheme of ways to smuggle the second dozen into the house. This entry was tagged crazy much, finished objects, knitting, quinces, relevant to our interests. Bookmark the permalink.